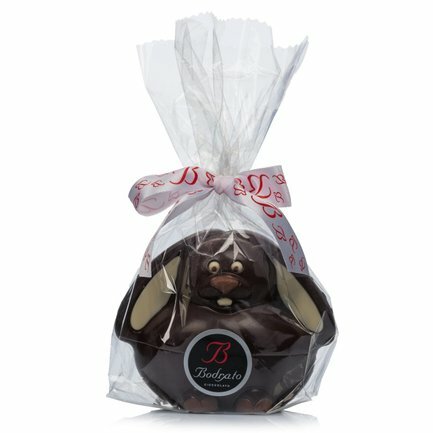 The Coniglio Paffuto Fondente from Bodrato is a delightfully chubby dark chocolate rabbit, and makes a fun Easter gift for young and old. 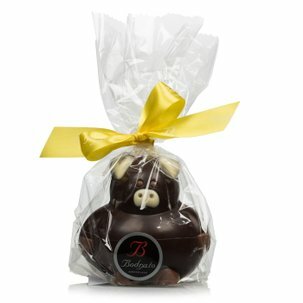 Bodrato's charming Easter bunny is made using traditional artisan techniques, combining high quality dark chocolate with an original and engaging design. 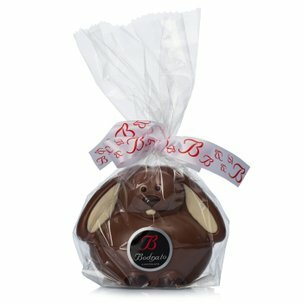 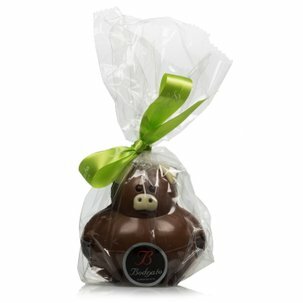 The Chubby Dark Chocolate Rabbit from Bodrato is gluten-free and contains a surprise gift.